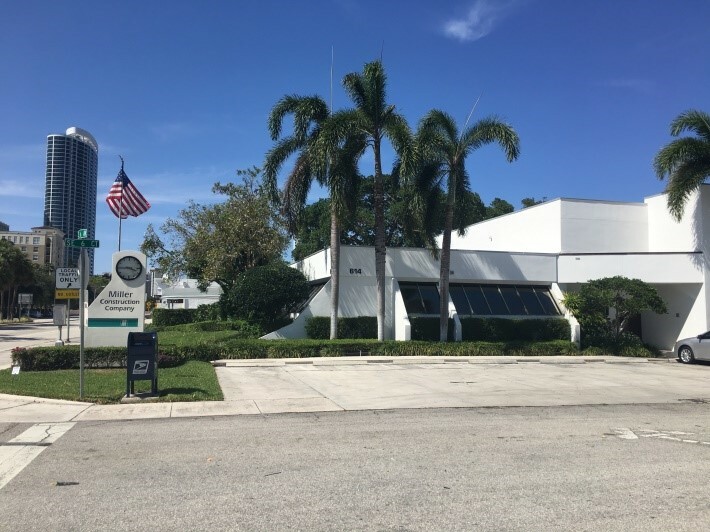 FORT LAUDERDALE, Fla. (April 20, 2018) – In a transaction that closed April 17, Berger Commercial Realty/CORFAC International Senior Vice President Steve Hyatt brokered the $4.525 million sale of a mixed-use property at the corner of Federal Highway and SE 6th Street. Consisting of 25,000 square-feet of office and retail buildings on 1.4 acres, the property was acquired by 614 SFH, LLC, a partnership between Hudson Capital Group principal Steve Hudson and Marker Construction Group principals Grey and Peggy Marker. The partnership acquired the property from Thomas J. Miller, Trustee of The Miller Family Trust. The property currently houses Miller Construction Company as well as the Thermae Retreat and other tenants. Miller Construction will remain on the property under a sale-leaseback agreement. The seller was represented by Owen Duke of Edington Duke in the transaction.